Your Source For All Your Smoking Needs! NOTTINGHAM CIGARS & PIPES offers you a wide variety of quality products. Located in Edmonton, we understand the personal touch needed to make any shopping experience great. Our staff will help you find anything you or your friends are looking for or need. We are also committed to sharing news on cigar events both here in Edmonton and throughout the Cigar manufacturing community. Celebrate July and Canada 150 with My Father Cigars. Stop by today to 25% when you purchase three or more cigars from the My Father Cigars family, including the Flor de Las Antillas, Le Bijou, No. 1 Robusto, No. 5 Toro, El Centurion, L’Antiguedad, L’Atelier and Tatuaje Havana VI. Purchase of three My Father Cigars automatically enters you to win a Pete Johnson 6-Pack Sampler of Tatuaje Cigars. Purchase of a full box of My Father Cigars automatically enters you to win a My Father humidor, valued at $450.00. July it the month that keeps on giving! New events will be posted here as they are scheduled. We invite you to subscribe to our free newsletter to receive updates by email. 2017 Habanos Festival in Cuba – The 19th Annual Festival runs February 27 – March 3, 2017, in Havana Cuba. Visit Habanos.com for more details. Pro-Cigar Festival in Dominican ‎Republic – Enjoy the taste of the Caribbean February 19-24, 2017, at this annual event sponsored by the Association of Dominican Cigar Manufacturers. Visit ProCigar.org for more details. Nicaragua Cigar Festival – The 4th annual Puro Sabor will be held by Nicaraguan cigar makers January 16-21, 2017. Visit Nicaragua Cigar Festival for more details. IPCPR Trade Show – The 85th annual convention will be held July 10-14, 2017, at the Las Vegas Convention Center. Visit IPCPR.org for details. InterTabac Trade Fair – Over 500 exhibitors from 50 countries will meet September 22-24, 2017, in Dortmund, Germany for the International Trade Fair for Tobacco Products and Smoking Accessories. Visit Inter-tabac.com for more details. For more details including specials please CLICK HERE. Enjoy Cigars, Spirits, and Food while visiting with Special Guest Fabien Ziegler from Drew Estate Cigars. Seating is limited so be sure to contact us for ticketing information and to reserve your spot! 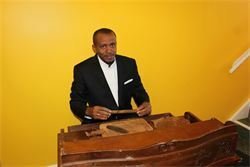 Master Cuban Cigar Roller Sr. Reinier (Ray) Borroto Gonzales will be at our location for 2 days and will be Hand rolling Cuban Cigars on site. We would like to personally Invite you to the above In-Store Events. Please keep an eye out for our upcoming events or subscribe to our newsletter for updates and invites.